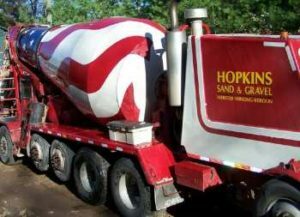 Our radio dispatched front discharge trucks offer high quality concrete for your residential, commercial, or industrial project. Our drivers are always courteous and willing to provide you with great service. 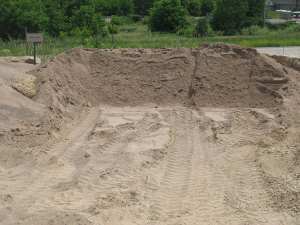 We have mixes available for almost any application. Fiber reinforcement is a mesh containing millions of polypropylene fibers that disperse throughout the concrete mix. They are chemically inert and have no absorption properties. They do not affect the mix design. Fiber does not take the place of wire mesh. Wire mesh helps control cracks after they are formed, while fibers help prevent cracks from forming in the first place. Requests for color must be placed 5 business days prior to scheduled delivery. Color orders are in 1 yard increments only. Color charts are available for your selection. All special orders should be addressed with the dispatcher at time of order placement to ensure proper loading time and scheduling. Pump truck requests or special equipment should be discussed with dispatcher at the time of order placement to ensure equipment availability for your project. All loads less than 4 cubic yards or exceeding an unloading time of 10 minutes per yard will be subject to additional charge. 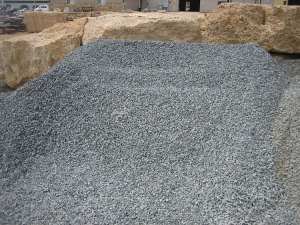 We are a leading supplier of quality aggregates for your projects. We have a wide variety of sizes and colors to choose from. We can deliver or you can stop with your truck or trailer and we will load it for you. Road gravel is what you see along the shoulders of roads. 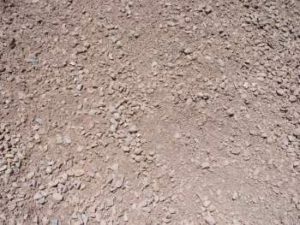 Road gravel consists of sand, rock and clay. 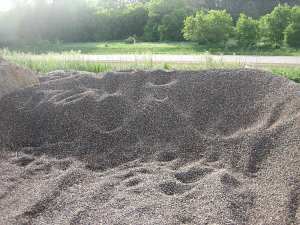 A gravel surface is more resistant to washing out in a heavy rain than dirt or sand. 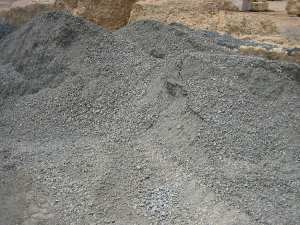 Road gravel, recycled blacktop, and recycled concrete all have excellent compaction for driveways. 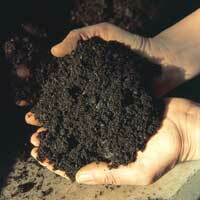 Top soil is the upper layer of soil where most of the nutrients for plants are found. 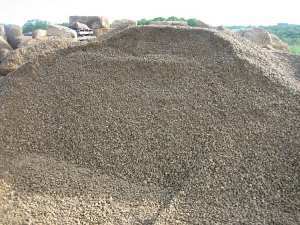 Our topsoil is obtained by scraping the surface of excavated areas. 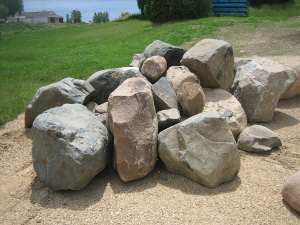 It is then pulverized or screened to remove large rocks, sod and debris. It can be used in the yard, for raising grade levels, or for potting and planting. 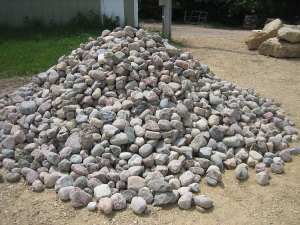 It is easy to work with and will grow grass. 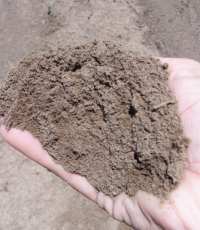 Black dirt is darker in color than top soil. The black dirt is excavated from lower areas. 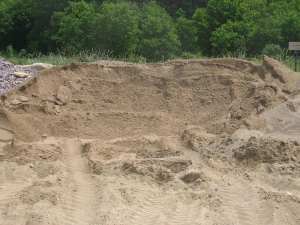 It is then pulverized or screened to remove large rocks, sod and debris. It can be use in your yard for potting and planting. It is easy to work with and will grow grass. 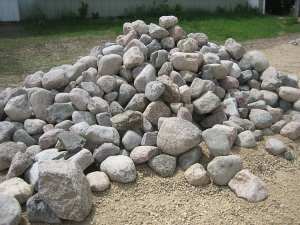 We offer a full line of landscaping products and accessories to help you create the perfect landscape. Many colors and finishes are available to choose from. We are your source for your concrete block needs. 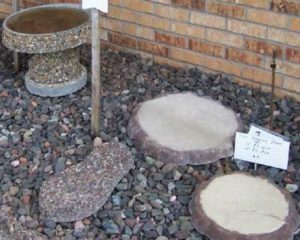 We carry a full line of standard cement blocks in assorted sizes. 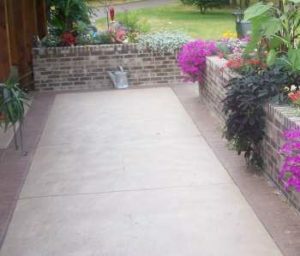 We also have architectural cement blocks. Increase the value of any structure with beautiful handcrafted stone. Our products are cast from real stone to capture every detail and feature as if it were the natural stone. 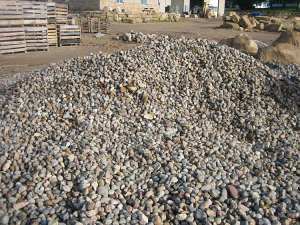 Cultured stone has many interior and exterior uses to enhance the beauty of any environment!